Terrell Texas Daily Photo: left turn! 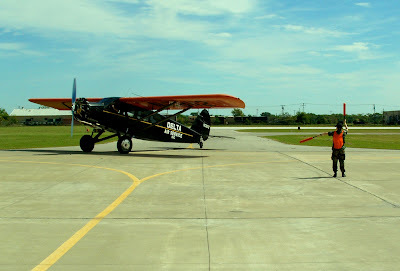 one of the visiting airplanes to the fly-in this past weekend, taxi-ing down the runway! Nice old plane. That one's a few years old I'll bet. I can barely steer my car let alone a plane!